It was crunch time for Big House Sound (BHS), a company that installs high-end sound systems for large events. University of Texas at Austin (UT) was upgrading the Darrell K Royal-Texas Memorial Stadium for the new football season. After a competitive bidding process, UT selected Big House Sound to create a world-class sound system that could reach every fan in the 430,118 square-foot stadium. It was all going according to plan until a vendor hit a rut: the enclosures for BHS’ amplifiers were not going to be ready in time. As an Austin-based company, Falcon is made of many UT alumni, including our co-owners, and avid Longhorn fans. We were more than ready to help keep the upcoming football season on schedule. 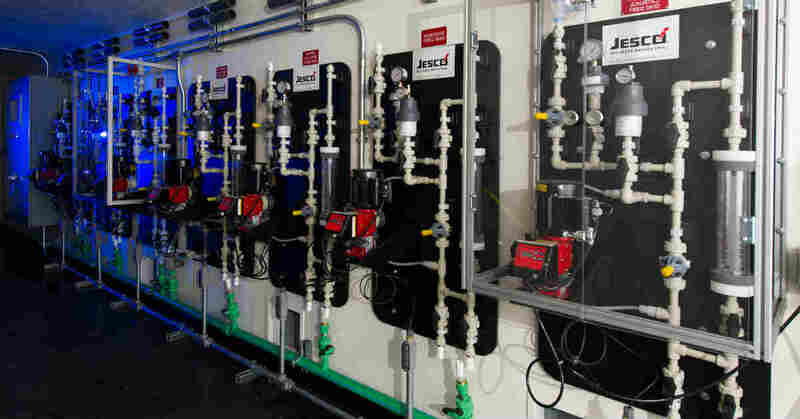 As municipalities across the United States prepare for infrastructure updates, modular water treatment equipment can serve as a stepping stone to larger treatment plant goals or long-term installations for businesses and communities. Containerized membrane bioreactors (MBRs) and moving bed bioreactors (MBBRs) plants, which can treat waste water to a level that is acceptable for environmental discharge, are great example of modular treatment plants in action. Because container-based plants arrive prewired and pre-plumbed, small communities and remote businesses can quickly deploy a sewage and industrial waste solution with minimal site preparation. The MBBR and MBR process is delicate, but modular shipping container shelters can keep internal conditions just right for microbes while maintaining convenience for human users. 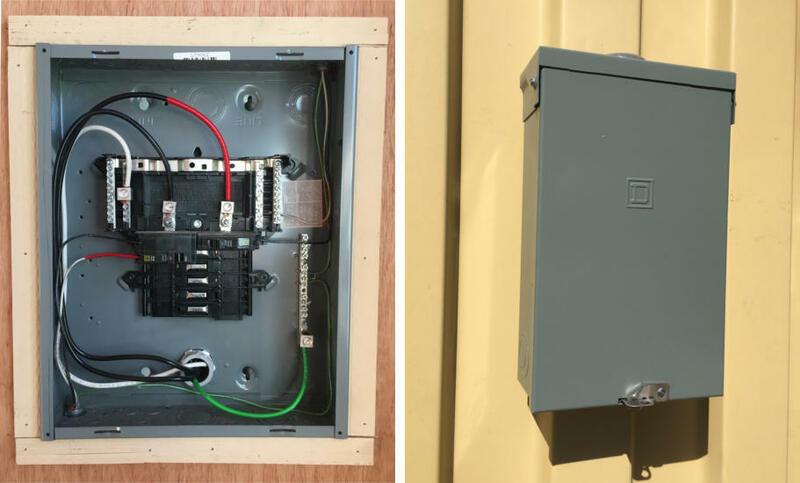 NEMA electrical enclosures hide in plain sight all around us. If you go for a quick look around your office or home, you’ll probably find one protecting your circuit breakers. Equipment enclosures aren’t glamorous, but they play a key role in protecting equipment and, most importantly, people. Their standards can also be applied to larger prefab shelters built within ISO containers. 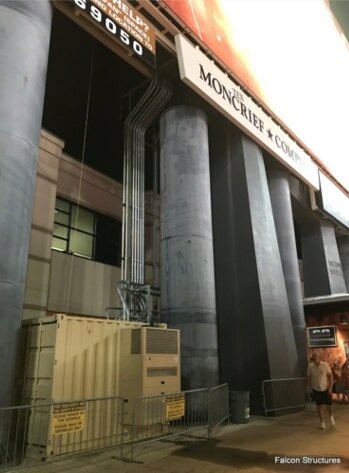 Original equipment manufacturers (OEMs) that utilize equipment enclosures to protect sensitive equipment and technology on industrial sites can benefit from replacing traditional brick and mortar or stick-built equipment housing with modified conex shipping containers. At Falcon Structures, we manufacture shipping container-based shelters and enclosures for a variety of industries. 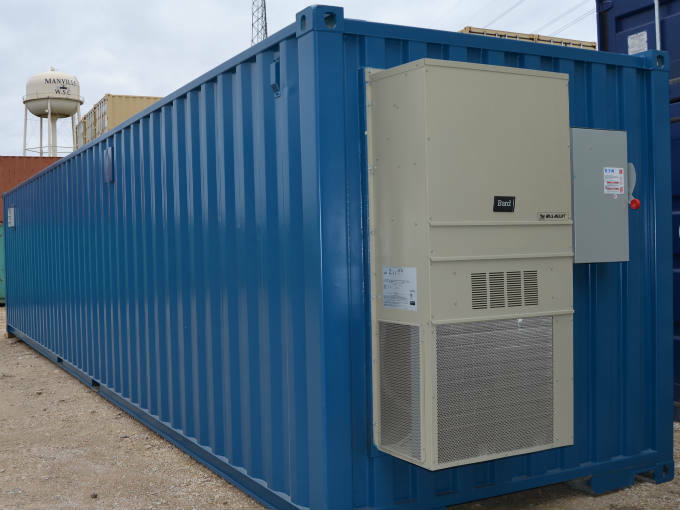 In recent years, our engineering team has collaborated with the water treatment industry to design solutions to containerize equipment domestically and abroad in modular shelters. Whether your industrial operation is located on an oil field, construction site, or adjacent to miles of pipeline, protecting valuable equipment from the elements and vandalism is a must. Repurposed shipping containers offer a superior alternative to many traditional prefab shelters for industrial equipment.